Healthy people are all alike; every unhealthy person is unhealthy in their own way. – Leo Tolstoy (sort of) Anna Karenina. This simple question is surprisingly difficult to answer quantitatively. Maybe you feel healthy, but is that enough? To really understand your health, you’ll need some context: How do you feel compared to … yesterday? a few years ago? How about compared to your close friends or family, or to an athlete or health expert you admire? A quantitative answer requires a systematic approach that integrates data collection, experiments, hypotheses, and iteration – tools that are familiar to any scientist. Science is curiosity, a genuine and humble search for truth using a never-ending process of systematic experimentation. It’s open to everyone and can be applied to any situation, including situations that affect you right now. It’s Personal Science when you use the scientific method to discover important insights about the wellness and performance of yourself and those around you. 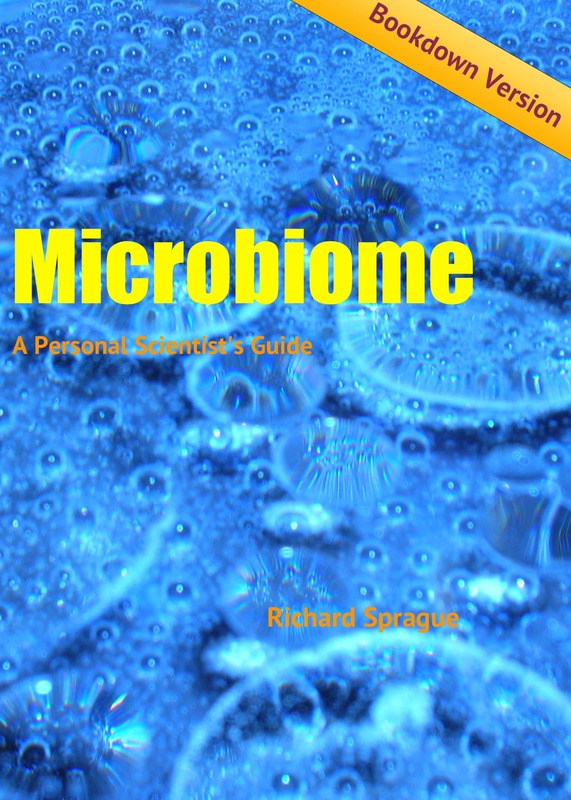 This book will introduce you to one exciting area of personal science: understanding your own microbiome. Our companion web site lets you upload your own data and compare it to others to make your own discoveries. NOTE You’re reading an online e-book that will eventually be integrated into the main site. For now, treat it like an instruction manual. We want your feedback! so please email us at info@personalscience.com. To move to the next page, either hit the arrow buttons on your keyboard, or click the arrows at the very bottom of the page. Enjoy!